I must admit I am a bit of an “instant gratification” junkie. I adore popping those packing bubbles. And I get fulfillment from writing a to-do list and including some things I know I will be able to check off instantly. So, naturally, I am digging this whole “on demand” economy that is continuing to develop right before our eyes. 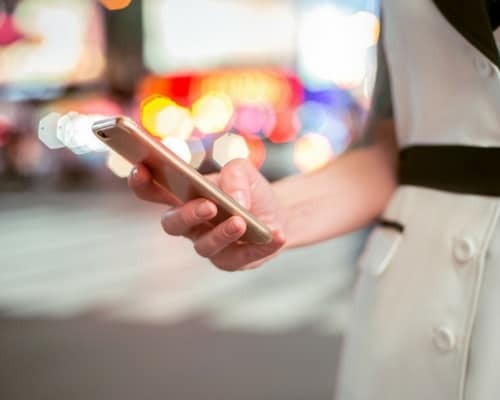 On-demand companies like Uber are cleverly perfecting ways for consumers to get what they want, at a competitive price, and with the gratifying details and minute-by-minute progress we super connected, instant gratification freaks love so well. Regarding the money-making potential for the people powering these companies, these organizations offer a lot of appealing opportunities. Gigs are often easy to come by, super flexible, and as the on-demand business models expand across different industries, chances are, there is the “Uber of ____” in your specialty looking for talented people just like you to provide products and services to their instant gratification craving customers. And while there appears to be pros and cons for this type of contract work, this may be the way to go whether you are someone who’s looking for a few extra bucks or a full-time income. Several cool organizations hire people to pick up and deliver goods to busy (or lazy) customers. One example is Postmates. You can run errands for users of the app by picking up goods at the local drug store, getting a large pie from that wonderful hometown pizzeria, or running to get some supplies from the local hardware store. Another opportunity that is similar is with the grocery delivery service Instacart, where they have jobs for shoppers, people managing the checkout process, and delivery drivers. A few other options to look into further include DoorDash, Favor, GrubHub, and Uber EATS. Who couldn’t use a personal assistant on the fly at one point or another? I know I could! Well, lucky for you, if you are a good helper, there are ways for you to make an extra buck. You can complete tasks and serve as someone’s personal assistant with Fancy Hands, volunteer to complete errands and chores via Task Rabbit; pick up and drop off someone’s dry cleaning with Rinse; help people move by joining Dolly; put your cleaning or fix-it skills to work with Handy; keep someone’s lawn and landscaping looking amazing with Lawn Love; or bid for freelance work via sites like Upwork. The possibilities for these types of tasks seem endless! Whether it is people or pooches, if you have the knack for caring for others, there are on-demand opportunities for you, too. Care.com is a great place to start for people who have a heart for caring for others in a variety of capacities, including senior care, housekeeping, and much more. If you like kids and see yourself as a sitter or nanny, Urban Sitter may be right for you. And if Fido is more your speed, DogVacay and Rover should be something you consider. Maybe you have spent considerable time and money to perfect a particular skill or trade. 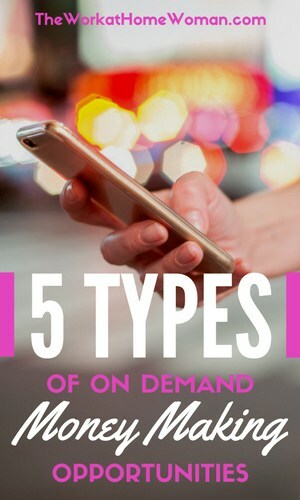 Chances are there are on-demand companies for you, too. If you are a chef, check out the food prep and delivery service Feastly. If you are a corporate executive or professional consultant, Spare Hire might be the place for you. Mechanics should consider Your Mechanic. Hair, makeup, and beauty pros could earn money via StyleSeat. Or, if you are an educator or a skilled professional who wants to teach others how to do what you do, educational and tutorial services like SkillShare, Lessons.com, and Take Lessons offer fantastic opportunities. The list goes on and on, and new companies are emerging every day. Or, if you have expertise in an area where on-demand providers are scarce or do not exist, you can consider that business model for your product or service. There are IT support organizations (like Dispatch) that can help by developing software programs and apps at a relatively low cost (compared to the hundreds of thousands of dollars invested in years past by companies like Uber). The bottom line is that it is easier than ever to find a safe, flexible way to make a few extra bucks. And, if you are considering these or any other on-demand opportunities, you’ll be in good company. By the year 2020, it is projected that almost 40% of the workforce will be working freelance. What on-demand money-making opportunities have you tried? Which on-demand jobs would you recommend? Have you explored the possibility of turning your business into an on-demand service? What successes or pitfalls did you face? Christy Schutz is a communications professional and freelance writer focused on topics like employer/personal branding, career management, personal development, women in the workplace, and female entrepreneurs. She enjoys putting 16+ years of experience in the advertising, recruitment marketing, employee/internal communications, and special events industries to good use by helping others to discover, develop and market their own distinct calling or mission. This Tampa Bay, FL-based Mom also keeps herself busy by raising 4 kids, caring for her husband & doting on her dogs Petey and Daisy! but it’s a nice change i mean if you come to think of it now instead of worrying about completing your everyday life you can just get it done through apps. i’m thinking of making an app for my small business too. You have to pay a 20 dollar registration fee to apply for taskrabbit now. it use to be free. Also handy charges a 75 dollar registration fee but they take it out of your first couple of jobs that you do for them so you don’t have to pay up front. Nope, all of these are free.